The Dzunuk’wa pole is one of a group of three poles (along with the Chief’s Pole and the Guardians) displayed at the intersection of Government Street and Kenneth Street. 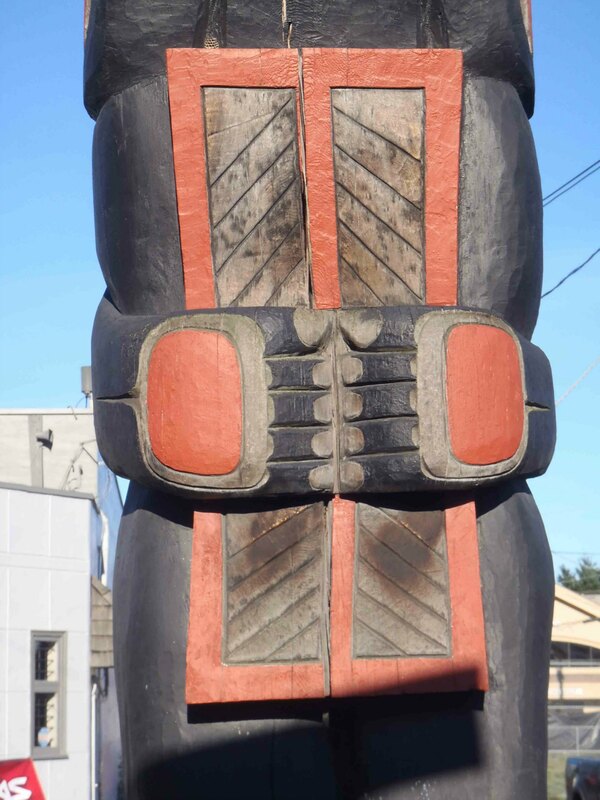 The Dzunuk’wa pole was carved in 1989 by Oscar Matilpi and stands 4.6m (15’6″) in height. 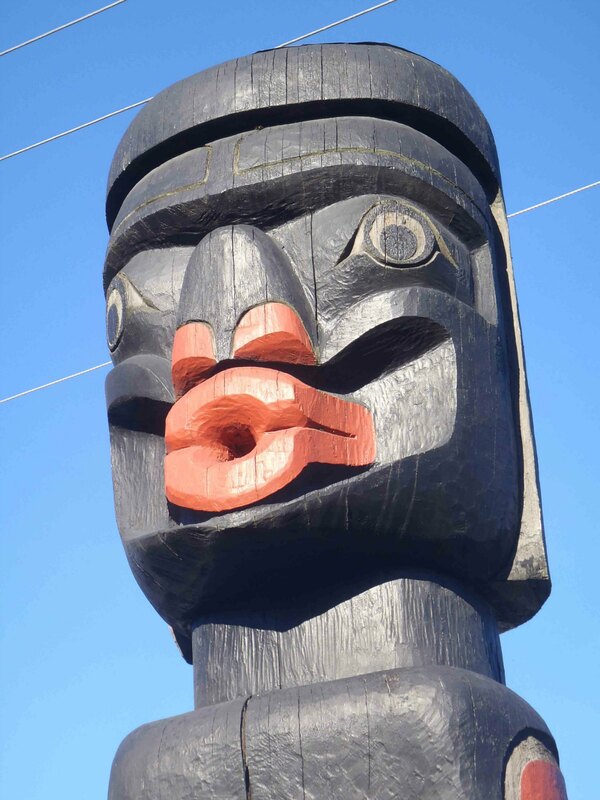 Dzunuk’wa pole, Wild Woman figure, face detail, Government Street at Kenneth Street, Duncan, B.C. 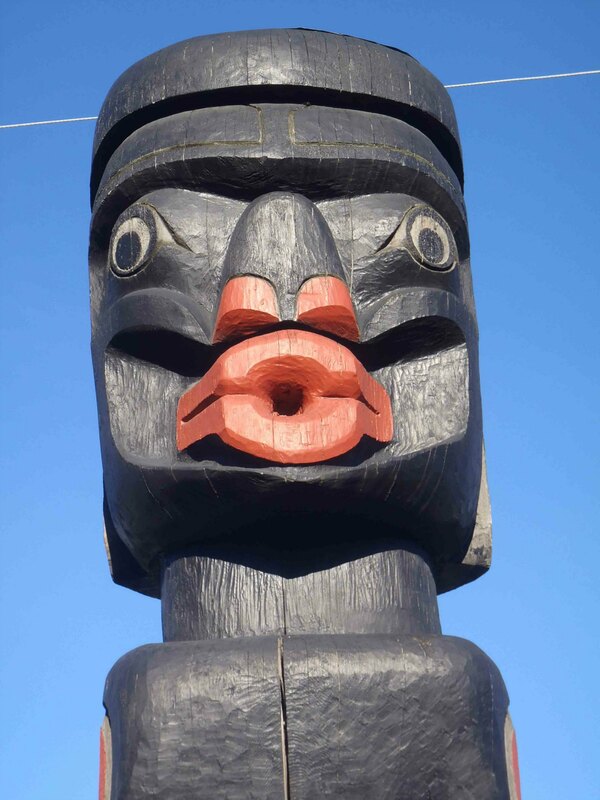 Dzunuk’wa pole, Copper Shield detail, Government Street at Kenneth Street, Duncan, B.C. The potlatch is a family driven activity to give away most, if not all, of the family’s wealth and material goods in order to show goodwill to the rest of the tribe members and to maintain the family’s social status within the tribe. 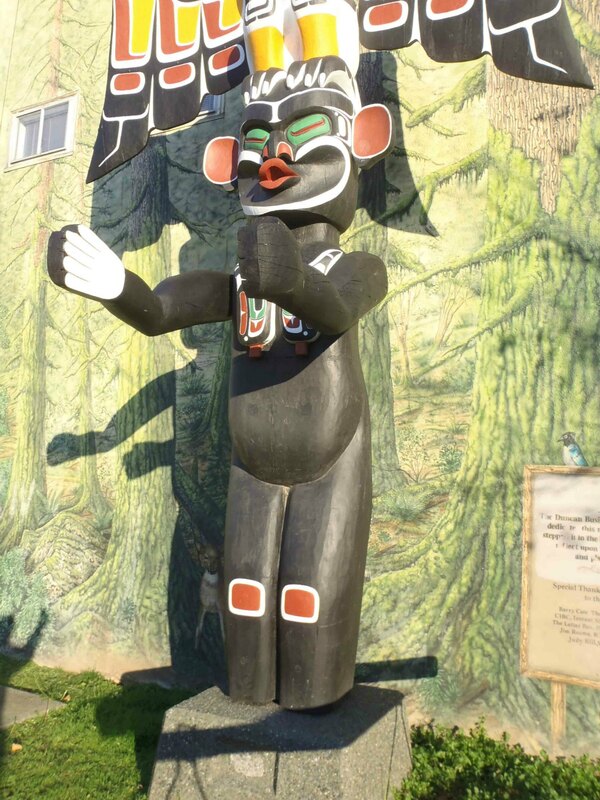 There is another Dzunuk’wa figure on the Thunderbird and Dzunuk’wa pole, carved in 1990 by Oscar Matilpi’s son, Ned Matilpi, and displayed at Station Street and Craig Street. 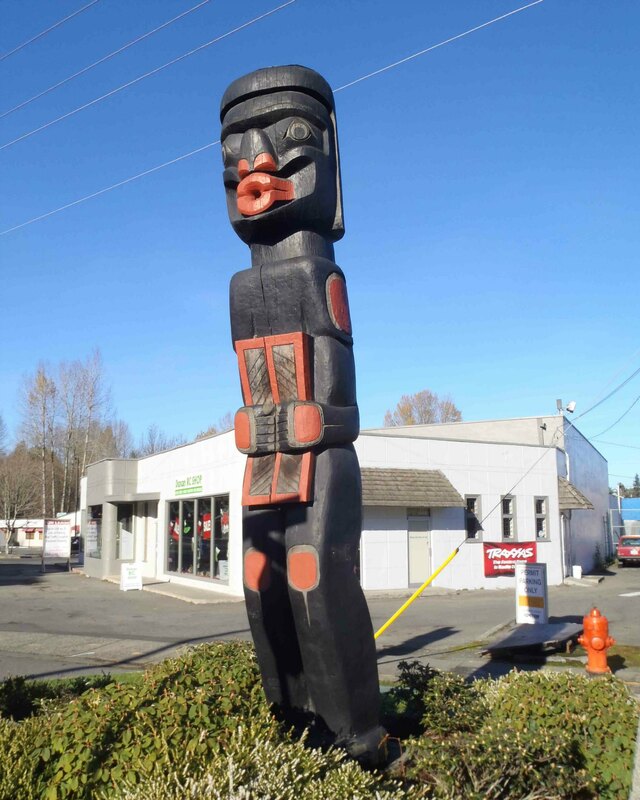 For comparison purposes, here is a photo of the Dzunuk’wa figure in the Thunderbird and Dzunuk’wa pole at Station Street and Craig Street, carved in 1990 by Oscar Matilpi’s son, Ned Matilpi.